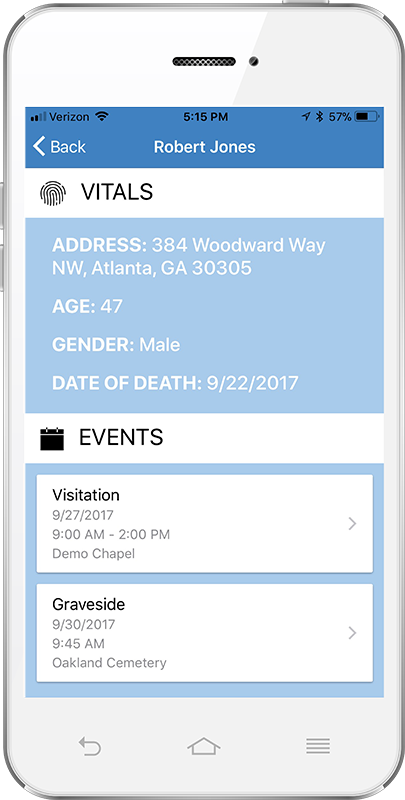 Halcyon Planner is a smartphone app that integrates with your Halcyon Funeral Home Management Solution to provide information. Contacts, case and service details and maps for your recent and upcoming events are all at your fingertips wherever you go. The Halcyon Planner App is available for both Google and Apple devices. 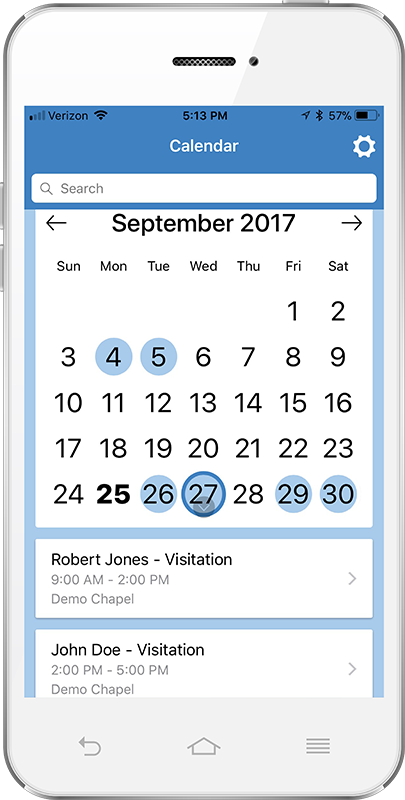 Calendar of upcoming and past events such as arrangements, services or visitations gives your staff a handy tool to simply manage activities. Drill into case details to see important information. A summary of case information right at your fingertips. You need to phone that next of kin right now? No problem. The Halcyon Planner app is integrated with your Halcyon FHMS so you always have the information you need. 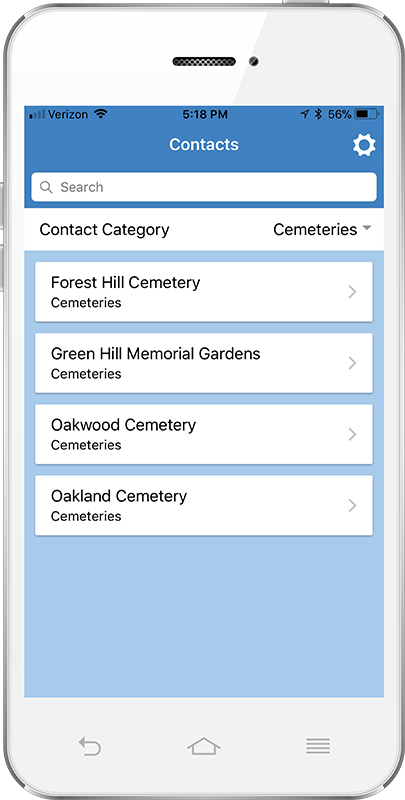 Quickly access your funeral home’s business contacts along with integration to your phone and maps. All of your information is securely stored and accessed from your Halcyon Funeral Home Management Solution. 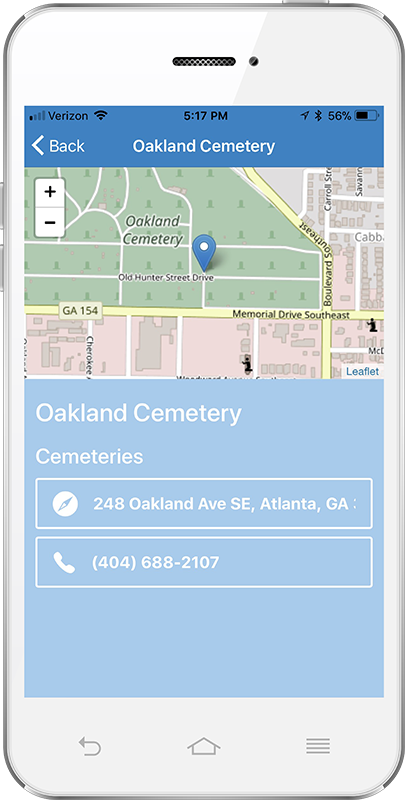 Your staff can quickly phone or get directions to your important locations and partners without reentering those contacts into phones.